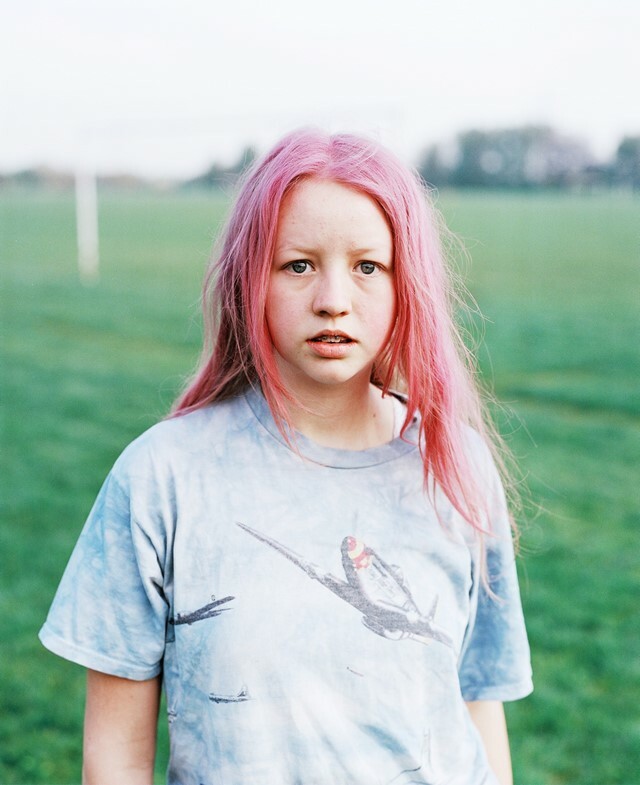 Even though both are technically outsiders to London, Art Baby Gallery’s Grace Miceli (from NYC) and Dazed’s own Ashleigh Kane (originally from Melbourne) have had no trouble tapping into, and being inspired by, a melting pot of local London talent. Teaming up to co-curate group show A New Sensation – a one-night only event hosted Thursday 16 June on Red Church street’s Downstairs at Mother – the pair has chosen 20 artists in a celebration of the city’s unfaltering creative scene. But the pair doesn't want us to dwell on the bad side of things, instead, the works included were chosen as a celebration of the artists’ abilities to turn individual and collective struggles into incredible and thought-provoking works of art. 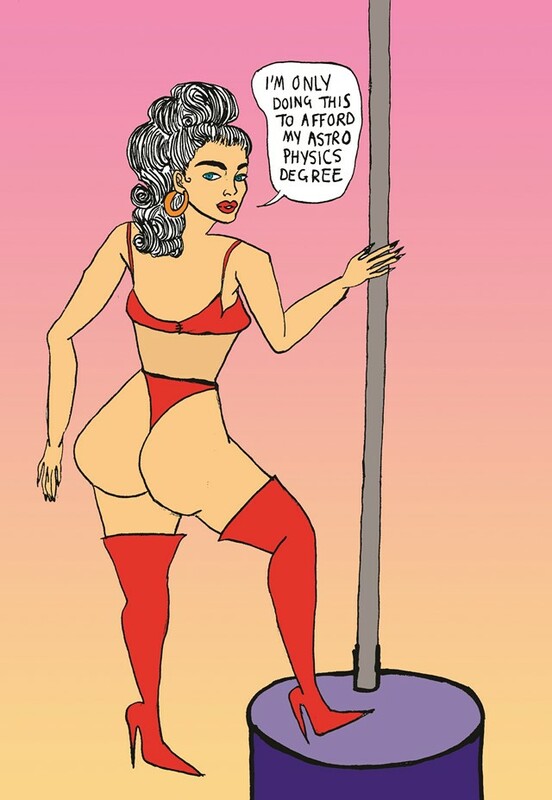 Take Delilah Holliday's (aka one-third of punk outfit Skinny Girl Diet) illustration as a prime example – a doodle of a pole dancer with a speech bubble insisting "I'm only doing this to afford my astrophysics degree". It's a witty way to poke fun out of the extremes that some have to experience – whether turning to a sugar daddy or stripping to pay for their studies. From Ronan Mckenzie celebrating the black body with her portraits highlighting the diversity of an often white-washed media, to Reuben Dangoor giving grime MCs like Wiley and Stormzy blueblood status in images worthy of a gilded frame.